Modern organizations dissected are a group of people working together towards a common cause. Thus understanding and managing human behaviour becomes critical to managing organizations. 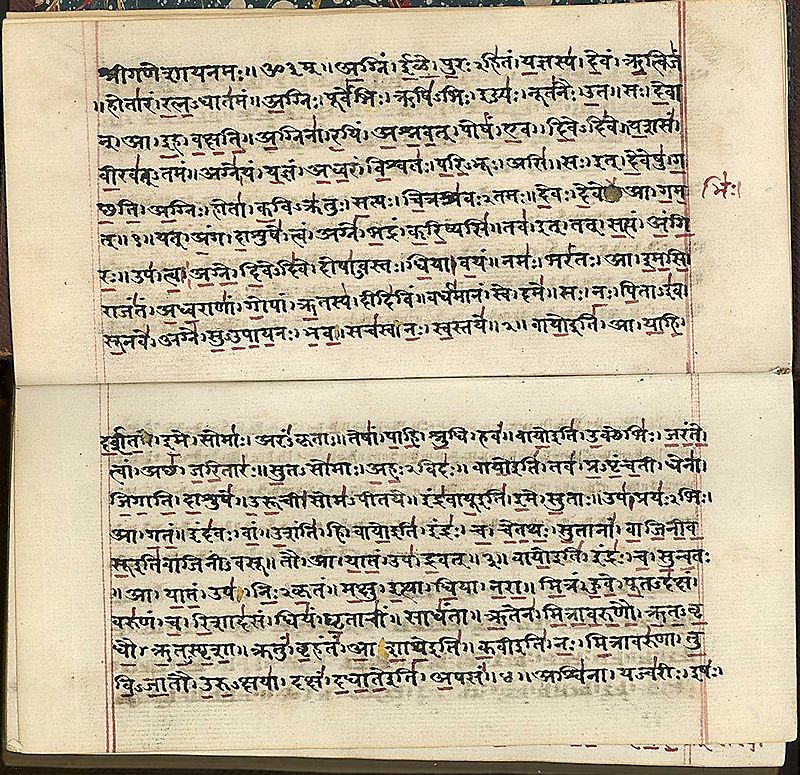 Ancient Sanskrit texts speak volumes about learning and human behaviour. In this sense, they can be used even more as a reference for managers and leaders in the corporate world including on how to motivate and drive a workforce; how to manage situations; and how to plan for the future. Success in the modern corporate world is usually defined by profit and a combination of the other four Ps mentioned above. Central to both the modern corporate world and the ancient Vedic world is the key element of human behaviour – and consequently it is by understanding and managing human behaviour and emotions that outcomes can be delivered. Human behaviour for the purposes of this paper has been broken down into elements of Cognition and Perception, and our contention is that the effective management of both should inform and influence overall strategy. We define cognition as the ability to fully understand oneself and one’s team-members and respective abilities within the context of completing tasks at hand. This stems from the Rigvedic learning that clearly states that all persons are not equal in their merits and endeavours. The challenge in the modern corporate context is that a uniform set of policies is applied to the workforce but with the individuals being of different abilities there are many kinds of obstructions. For instance, some folks don’t start work out of fear, some start but stop midway when faced with obstacles, while the best ones do not leave the work unless finished completely. It is only via managers’ cognition of individual and team attributes that successful outcomes can be delivered. Cognition must also lead into total focus. It is only via total focus that a firm can achieve its goals. This is highlighted time and again in managerial case studies and the authors’ own experiences be it Apple with a total focus on design; Walmart with a total focus on costs; or Four Seasons hotels and resorts with a total focus on experience. Total focus as the aim is perhaps best highlighted with the story of the five pandava brothers in famous Indian epic ,titled ‘The Mahabharata.’ These five brothers went to study in the gurukul (residential school). As was the practice, archery was taught to students. In one of the lessons, their teacher (guru) asked them to shoot an arrow into the cornea of a bird seated on the branch of a tree. He then posed the question to them one by one: “what do you see?” The first brother replied that he saw the bird sitting on a tree and the surrounding area; the second brother replied that he saw a tree, its trunk and branches, and the bird; the third brother replied that he saw the tree and the leaves and the bird; and the fourth that he saw the leaves and bird. The fifth brother who hit the aim successfully replied that he could see only the cornea of the bird’s eye and nothing else — symbolic of total focus on the goal. In the corporate context the total focus should be incorporated into each discipline. In modern management one sees this in the case of firms developing competitive advantage – which we contend can only come via total focus. Every business and industry is different so “one size fits all” formula cannot apply everywhere. So here perceptions come into play. As Devdutta Pattanaik in his best-seller based on Sanskrit texts argues — we have 3 bodies: physical, mental and social. All three are very important for success. While physical and mental bodies are health related and are of utmost importance to enjoy any success, the social body is what the people in society think. It is the social body that is the most important and foundational attribute for success. Examples of how the social body plays out in daily life are when we introduce ourselves exchanging visiting cards – that is not enough. We want to get our presence felt and valued hence follows conversation about influential, successful friends, achievements, rewards, awards etc. Similarly, one feels socially significant when others are able to recognize the person or associate him with a brand/company. The advent of social media is perhaps the best proof of the importance of the social body. Managers then must dwell on how to manage perception both within and outside the firm. We see this in modern management where the study of “influence” which dwells on perception is increasingly important. The power of brands is indeed also well documented which is the positive management of perception. This can be done in myriad ways ranging from controlling how your forward facing employees dress and conduct themselves which in turn influences customer perception and experience — as is the case of the Singapore airlines girl ; or positioning a brand as a premium product and reaping in the brand premium as is the case with Apple ; or the brand failure of the Tata Nano (which was marketed as a car costing rupees 100,000 to cater to the bottom of the pyramid and gain traction from consumers who would otherwise have bought electric scooters and motorcycles but in reality was more expensive) which carries with it lessons regarding the difference between perception and reality. Within the area of perception one lever not often used is that of secrecy. This itself can dictate the outcome of a project and bring teams together while also developing competitive advantage. Indeed Sanskrit texts have many references to secrecy and its importance. Key lessons include that accomplishment of the task depends on guarding the secret of the decision taken, the leak of important minutes of the meetings destroys the plans and even the slightest negligence in handling the information will cause its leakage and the competing companies in the market will take advantage of this situation. Accordingly important information must be guarded from all quarters. Furthermore, within the context of teams, secrecy of counsel is of supreme importance and discussions and consultations on official matters should be confined to person of discretion, maturity and decent behaviour. One may get a counterargument regarding the increased trend towards transparency in organizations and processes with the advent of social media; with managing the millennial workforce that has had more access to information then every before; and even with new technologies like blockchain (a technology that consolidates transactions by an individual into blocks and then distributes it across databases essentially eliminating banks as an intermediary for money transfers). However, our point is that as organizations become more transparent the critical data that is not to be released should be guarded even more carefully with several in the organizations not even being aware of their existence. Organizations by their very definition are a group of people working towards a specific outcome or common purpose. Thus we draw a parallel with Sanskrit literature that significantly stresses on the need for managing teams (which in turn can only be done via application of cognition and perception). The crux of our position is that strategy then is the effective planning and management of the team. Saam (by pacifying the person) – the perception of being valued. (We say “perception” of being valued as we view praise as an external force, contrary to the internal pride the individual/ team would presumably have on work well done). Praise empowers as it reflects acknowledgement and faith in one’s ability and motivates the person towards better performance. Daam (by compensating him) – this indicates material reward for work well done. Bhed (by making them fight with each other) – this is a controversial method yet we felt it is important to include as it is very prevalent at corporations. It uses the feeling of insecurity and lack of total focus and effectively drives competition (both positive and negative) within the team. By using a combination of the above strategies teams can be managed towards delivering best outcomes. Perhaps one of the most fascinating insights given is in the text of Krishnayajurveda which highlights culture of enjoying together with the whole team and its impact. This is akin to modern corporate retreats which when done right can delivery extremely successful outcomes. Finally with regards to corporate social responsibility, these initiatives have also been mentioned in the Sanskrit texts. It is told that no one can earn money singlehandedly. One has to take direct or indirect support from other quarters like family, friends and teammates. There is nothing like donating for the society; not only this it also says that one should also ensure that the donation goes to the correct and deserving. Hence society deserves a share in the earned money. Cognition and perception are critical in informing the strategy of an organization. Overlooking either of the two then becomes a hindrance in overall strategic planning – reducing strategy to only a paper exercise. There are several takeaways from Sanskrit literature that can help with framing strategy and that apply to the modern corporate world. The application of lessons from this vast literature in any given field can help deliver successful outcomes. It is amazing that how even after a gap of centuries between the ancient and the modern world these tenets of the ancient Sanskrit literature are still applicable in the modern corporate world. As a guide they not only help establish a clear path but also lend to the organization ethics and moral values. Ancient Sanskrit literature indeed is perceived not only by Indians but by the world over as it has the potential of informing strategy strategizing in the best possible way to complement modern management practices.